My Herald on Sunday story looking at where mobile phone technology is going. A good indication is the Nokia N95 (pictured left), which goes on the market here next month for $1599. The paper asked me to make a call on what I though were the best and worst phones on the market here at the moment. It was a hard list to assemble. I only considered handsets I've actually had a decent play with and that are sold through the main chains - not through Parallel Imported, for instance. design to come up with the list. Hardly scientific, but then look at the ho-hum list the Consumer's Institute comes up with when it gets all technical and ignores aesthetics? You'll need a subscription to browse their best-of list. A fairly plain looking Nokia, but about as good as they come for Telecom customers – the Consumers Institute agrees, it’s their top pick in CDMA handsets. The 6275 packs the features in – mp3 player, FM radio, two megapixel camera, which actually takes decent photos, an expansion slot for loading up with music. There’s no mobile broadband and it’s a tad on the expensive side but Nokias are built to last. It’s also got a cool GPS feature that lets you measure your location and find out what direction you are going in. An absolute classic. It’s the iPod of the mobile phone world, changed Motorola’s fortunes and launched a line of phones with similarly bizarre names. 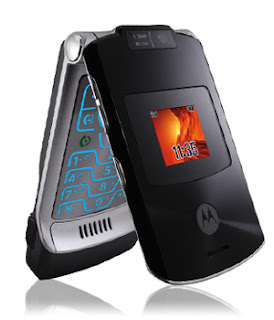 It’s all in the looks with the RAZR, which is a little anaemic when it comes to features. The camera isn’t up to much, but it handles calling and texting well. A nice metallic keyboard and large, bright screen are revealed when the slim-line clamshell is opened up. Samsung’s dual-mode phone wins instant credit for incorporating at such a reasonable price, chips that allow access to both GSM and CDMA networks. The W531 is the phone Telecom customers who are traveling abroad can use for roaming in countries where there is no CDMA network. The handset is also of compact, lightweight design and has good battery life and calling quality. The cheapest smartphone to support the Windows Mobile platform, the 1210 is ideal for those who want to sync their Outlook address book and view Microsoft Office documents on their phone. A fairly conservative design masks the rich functionality of this candy bar smartphone which is ideal for email and has expandable memory and Windows Media Player built in, so it can be used as a music phone too. The N73, as nice as it is, would be far too expensive where it not for the fact that a 1GB miniSD card is currently being bundled with it. Don’t buy a N73 unnless you get the memory card thrown in as well. The addition 1GB card makes the N73 a suitable music phone and gives you enough capacity to make good use of the surprisingly good 3.2 megapixel camera built into it. It packs more punch than its predecessor, the V3, but not enough to justify its massive price premium. The V3XX is basically aimed at the same target market – people who want a good-looking phone for calling and texting. In that respect, the high-speed data access is of marginal value. Ugly, ugly, ugly. It resembles the first generation of 3G phones we saw two years ago – too big, too chunky and it doesn’t even offer 3G services. The camera isn’t up to much and there’s virtually no onboard memory to store photos anyway. Even at its low-end price there are much better models on the market. A good phone spoiled by its touch-sensitive menu keys which cause no end of frustrated fiddling around. The KU800 is the updated version of the LG Chocolate, which was hugely successful in the US. The sliding action of the phone is nice and there are some good features built in – a two megapixel camera and second camera for video calls, memory expansion slot and high-speed data. Pity about the touchy controls. It may be popular with teenage girls but with the horrible grill on the front and that pink protruding aerial, the Pinkilicous is a design disaster. The external display is monochrome giving it a distinctly retro feel and meaning picture caller ID is out. It’s worth stumping up the extra $100 for the Sanyo Diva clamshell which is better featured and wins points for its styling. A strange fixture in the Nokia line-up, the 6165 is a mid-range phone that tries to do many things, but does nothing very well. The one megapixel camera is a write-off. There’s Bluetooth and infra-red connectivity but not supporting high-speed data, it’s not ideal for use as an external modem. 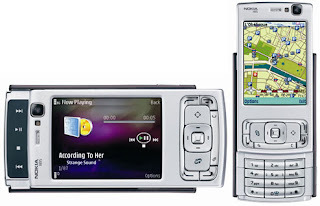 Its design is symptomatic of the CDMA phones that carry the Nokia brand – uninspired. Hi Peter, I really enjoy reading your stuff, and I also enjoy your blog as well. I just got a new N95 here in Australia (for AU$1200). I have only had it for a couple days, but it that time I have been unable to connect it to any wifi networks, after a long support call with Nokia they blamed my home and work networks for not accepting the device. They are going to get a tech to call me back. But after googling the problem I see many other N-series users have similar problems connecting to wifi networks- one of the best features of the phone.